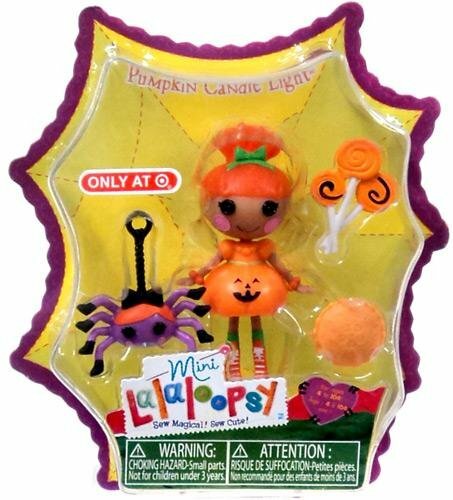 A Mini Exclusive Pumpkin is a wonderful doll. The features include 3" mini doll and target exclusive. To find the best bargain on this doll together with other Lalaloopsy dolls, click on the market add to shopping cart button on this page. Please note we make no warranty regarding collectible package condition. First Class and international shipping is with the item in a bubble mailer. If you want it shipped boxed, please speak to us for the further price and an updated invoice. Package Dim. : Height: 1.7" Length: 6" Width: 4.8"